there are some things that can be done ahead of time to help lessen that stress. Depending on each person’s specific needs, visits to the emergency room may be more or less commonplace. If your child has had fewer medical emergencies, this may be even more important to consider: are there items that could help you be more prepared in the event of an emergency? What if collecting a few items ahead of time could lessen the stress of pulling things together “in the moment”? While the AARP recommends creating what it calls an “Emergency Room Kit” specifically for elderly individuals, its suggestions can also apply to anyone facing a medical emergency. The organization advocates for having an assortment of items ready to go in this kit before the need for an emergency room visit arises. A useful Emergency Room Kit should include a child’s overall medical profile. By providing doctors with quick and easy access to a person’s known allergies, medications, and other pertinent medical information, stress can be minimized and treatment pursued immediately. It is also helpful, AARP notes, to have legal documents packed up before the emergency room trip. Students spend a bulk of their lives (sometimes more than 20 years) attending school. additional medical or support needs. Parents should think about what items or protocols can be in place to both lessen stress for their child and promote the best environment and atmosphere to excel. Writing a brief letter to key school personnel is one strategy that can relieve teachers of stress and provide parents with peace of mind that teachers and other school staff know about and are well prepared for any medical or emergency situations related to their child’s condition. The letter does not need to be lengthy, but should cover specific topics. Beginning with a simple introduction can be a positive first step in the process of detailing a child’s health concerns. After briefly outlining the genetic condition itself, it is necessary to discuss potential disruptions caused by the condition. The remainder of the letter can offer school personnel a better understanding of how to best serve the student’s needs. Useful topics include environmental factors that may positively or negatively impact the student, approaches or techniques for ameliorating anticipated situations, and any special needs the student may have, among others. Something as simple as a letter can be very powerful in reducing stress, establishing a feeling of trust and reduce stress for the parent, teacher and student. others who have had similar experiences and hear what has worked in their situations. On Disease InfoSearch (www.diseaseinfosearch.org) individuals can find hundreds of available support groups listed by condition and how to get the support and information you need. Eliminate the stress created by surfing the web or sifting through journal articles, Disease InfoSearch has information on over 13,000 conditions that is pulled from reliable sources. For specific questions about a genetic condition, visit Genetic and Rare Diseases (GARD) Information Center. Staffed by genetic counselors, this resource has helped several people who were lost in a world of overwhelming information. By dialing 888-205-2311, callers can speak directly with a trained professional and obtain personalized answers to disease-specific questions. GARD allows for a very targeted experience, and can help eliminate stress from the very start of a search for information. 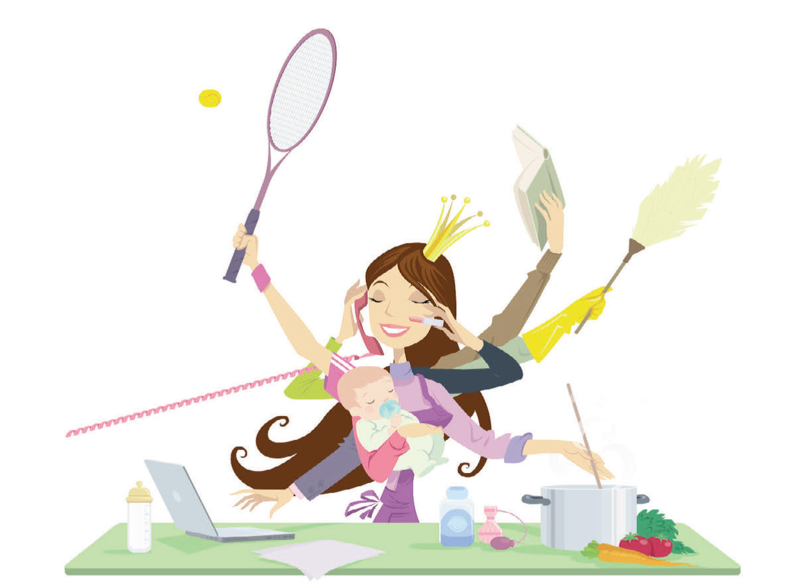 what about the day-to-day as parents, managing work, errands, families, and everything else life throws at us? Kyle McEvilly serves a Programs Assistant at the national nonprofit, Genetic Alliance. Kyle joined Genetic Alliance after working at the National Coalition for Homeless Veterans, where he presented to conference audiences throughout the country about homeless veteran issues, programs, and resources. During this time, he also assisted with the production of a new video series to help grant programs reach their goals. Prior to entering the nonprofit sector, Kyle served as a White House Intern with the President’s Commission on White House Fellowships. Kyle holds a M.A. in Political Science, with concentrations in Public Administration, Political Sociology, and American Politics. He also holds B.A. degrees in Political Science and Sociology. His interests include teaching, writing, and playing acoustic guitar.